Introducing our new image…and name! After months and months of hard work, group discussions, agreements (and some disagreements!) we have recently unveiled our refreshed brand identity and are excited to introduce a whole new look and feel to Ian Smith and we hope you love it! We’d like to take the time to explain a bit about what lead us to this change and what it means for our customers, partners and the Ian Smith team. Our new logo isn’t just about nice colours and playful fonts, we hope that it defines an identity and that the story will resonate and serve as our brand criteria. Ian Smith has evolved significantly since the start of our journey 47 years ago – for a start, we are so much more than just an office supplies company and our new identity marks the start of our next chapter, moving away from ‘Ian Smith Office Supplies’ to IAN SMITHGROUP. We’ve got a young, strong, creative team forming five different divisions and our logo just didn’t feel like ‘us’ anymore. 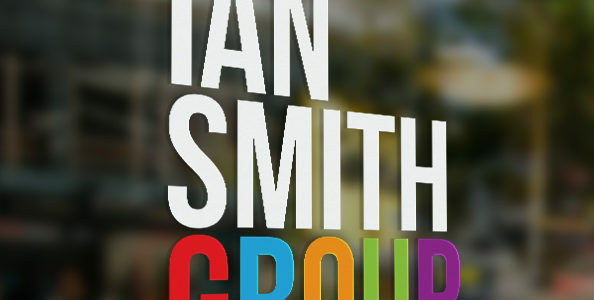 We pride ourselves on being utterly passionate about what we do and we weren’t convinced that this was reflected through our previous branding – the new identity is all about expressing the personality and diversity of the IAN SMITHGROUP and everyone that works here – we think it is more representative of who we are today – passionate, energetic and fun. Just a quick note on our divisions – some of them have changed in name very slightly but they are all still encompassed by the Ian Smith Group. ‘Ian Smith Office Supplies’ has become IAN SMITHOFFICE, this is because we continue to cover all of your supply needs but now offer much more such as in-house print and recycling solutions. Along a similar vein, our Ian Smith Workplace Supplies division will now be known as just IAN SMITHWORKPLACE. ‘Ian Smith Office Interiors’ and ‘Ian Smith Printing’ has had much investment over the past few years and we’ve welcomed many new members to the team who have vast experience in their own areas. For this reason we now enjoy working on a whole range of commercial interiors, not just offices so it is only right we take this opportunity to rename this division to IAN SMITHINTERIORS. Following the expansion of our print team ‘Ian Smith Printing’ will now be known as IAN SMITHDESIGN&PRINT meaning we are pleased and excited to offer our customers a full design service along with their printing needs. We are confident this makes life easier for everyone – us included! It is important to mention before we sign-off, that all of our staff and the company directors remain the same and there is no change within our company from that pint of view. Ian Smith’s is still the same friendly bunch of people as it has ever been and that will long continue, we wanted to show you what else it is we do that makes our company so great. Thanks for reading.